2 How to save a bouquet? 10 How to stop rotting? 11 How to keep a fading bouquet? The fresher the purchased roses are, the better they will stay in the vase. A bouquet is not the first freshness can not save even a few days. Fresh roses can stand indoors for a long time if you follow simple rules and adopt some tricks. If you plan to buy roses yourself, then first of all you should look at the buds - they are still freshly developed from freshly cut roses. Such flowers are the longest to save. An important nuance is that the freshly cut rose on the lower part of the bud has a “shirt” of petals covering the flower itself. These petals can be darker in color than a rose, and not be as beautiful as the rest of the bud. But it is very important that this “shirt” be - so the bouquet will certainly stay in the water much longer. How to save a bouquet? Simple rules will help to keep roses in a vase. If you do not care about the bouquet, it will wither in just a couple of days. But if you properly care for a pink bouquet, he can stand in the room for a month or even more! In addition, there are various tools that can prolong the life of fresh cut flowers. What are some ways to keep roses in a vase? First you need to choose a suitable vase and cut flowers correctly. But experienced housewives have many tricks, and pink bouquets are with them for several weeks. If you are presented with flowers in the cold season, do not rush to remove the packaging from them - they should “come to their senses” and gradually get used to the warmth of the house. Let the flowers lie down for 10-15 minutes, and only after that you can start preparing them to put in the water. There is no need to choose a place for a pink bouquet in a room that is too hot or close to the batteries. These flowers also do not like drafts. The first thing to do with fresh cut flowers is to completely immerse them in water. For these purposes it is convenient to use a bath. But under the water should be the stems and all the foliage. It is impossible in any case not to immerse the buds in the water. 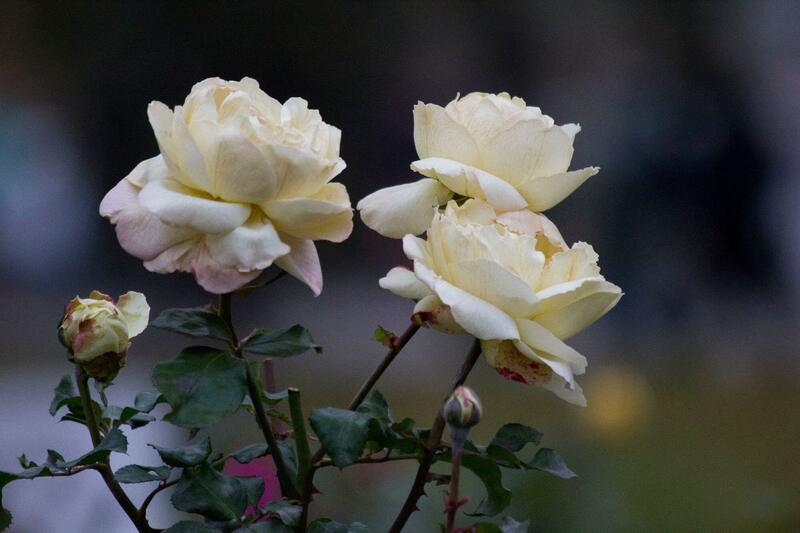 This procedure will give the opportunity to rejuvenate the roses and return them freshness. In the water (not warm), the stems should lie down for about an hour. In order for the pink bouquet to look beautiful and stand for a long time, you should choose the “right vase”. The size of the tank must necessarily correspond to the size of the bouquet itself. The buds should not barely peer over the edges, but at the same time should not fall out. The ideal is a vase in which to dive 2 / 3 from the height of the stems. How to keep roses in a vase for a long time? It is necessary to learn how to cut the flowers correctly - so you can save them longer. In order to enjoy a bouquet longer, it is necessary to put only the stems in the water. All the foliage that will be under water, you need to cut. This will help the flowers to stay fresh, and the bacteria will not get divorced so quickly in the water. In order to cut the roses by all the rules, first of all you need to take a sharp knife. All sections of the stems are made obliquely. An oblique cut will increase the area through which nutrients from the water flow to the flower. Cut the stems should be under water, since the less air gets into the cut, the better the bouquet will stand. Fresh cut bouquets are best placed in separated or filtered water - this is necessary so that the freshness is preserved longer. It is desirable to defend at least three hours in the water, so that chlorine is slightly eroded from it. In a vase of water that is filtered, fresh flowers cost much longer. In the summer, the bouquet is better to put in not too much, but cold water - so the roses stand for a long time. In winter, room temperature water is most suitable for bouquets. The main thing is not to create stress for flowers. In the water for the bouquet should definitely add quite a bit (1-2 tablets) of aspirin or activated carbon. It is also useful for fresh cut flowers to add immediately to the vase a soup spoon of granulated sugar and table vinegar. So you feed the fresh flowers, and they will stand in such water for much longer. How to keep the roses in a vase so that they stand longer? This question is very important for many who want to admire the flowers in their home and remember the holiday. 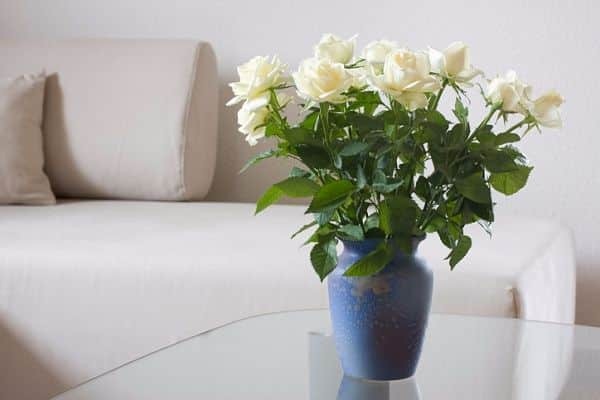 Save the roses in a vase will help frequent change of water and the addition of some funds. Water for roses must be changed every morning. When you change the water, flower stems should be rinsed under the tap. Helps keep flowers fresh and spraying. Irrigated cut roses should be carefully, so that droplets do not fall into the very center of the buds. If you are presented with a bouquet not from your own flower garden, but from a shop, then these simple tips on how to keep cut roses will be useful to you. The fact is that when growing flowers in greenhouses, they are constantly treated with chemicals. This means that it is possible and even necessary to add to the water the means to which the roses are used. So you can extend the life of flowers. Chemical stimulation will only refresh the bouquet. A great way to add to the water for a rose bouquet is charcoal. The same properties, useful for fresh cut roses, has the usual ammonia. Only a few drops of ammonia (quite quite 2-3) added to the water will prolong the life of the rosettes. Coal is more convenient to use in the form of powder, a small part of it is diluted in water directly in a vase. All cut flowers love sugar. Just add a couple of teaspoons of granulated sugar. 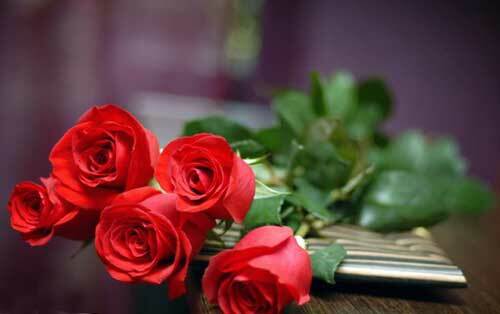 Sugar prolongs the freshness of roses. They like camphor spirit very much, which makes them stand longer. Camphor is added to the water at the rate of a teaspoon per two liters of water. All cut flowers love aspirin, and roses are no exception. It is enough to crush a pill or two of aspirin into a powder and dissolve it right in the vase. Aspirin not only prolongs the freshness of the bouquet, but also helps the buds to maintain the brightness of colors. You can also add a few drops of whitener like whitener to the water. Purchased flowers are simply not able to exist without chemicals, and they will be comfortable in water containing bleach. In water, all the processes of rotting stems in roses occur at the most active pace. That is why it is so important to remove the leaves so that they are not in the water. But many housewives remove spines to reduce the rate of decay. Literally within a few hours, putrefactive bacteria begin to multiply in a vase, which only accelerates the death of flowers. If you get rid of the thorns, besides the leaves, you will be able to slow the death of the flowers. But you can fight with harmful microorganisms in a vase with antiseptics. It is quite enough to add a soup spoon of boric acid directly to the vase, and the development of harmful microbes will slow down several times! This is not the most effective way, but it is simple. It is also necessary to constantly wash the vase with each change of water. 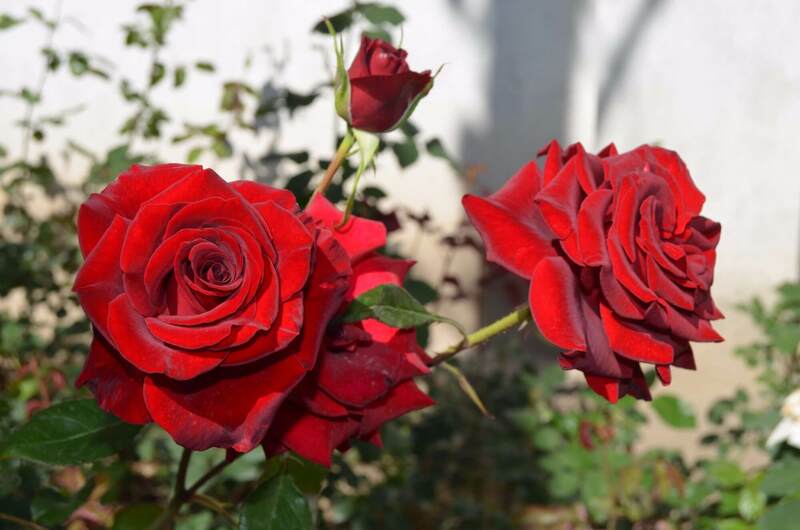 Roses, even when cut, are still alive, and harmful microorganisms only approximate the moment of withering. Try adding acid to a vase or even lemon juice, and you will see that your bouquet stays fresh and bright longer. In addition to acid, sugar can be added at the rate of two soup spoons per vase. How to keep a fading bouquet? If the buds have already begun to wilt, then water procedures will help them even a little longer to prolong their life. It is necessary to dial in the bath at the bottom of cold water. Optimally, if the water is around + 7-12 ° C. Flowers are placed in water so that the buds are on the surface. It is best to do such water treatments for roses at night - the longer the stems and foliage in the water, the better. Already in the morning, the ends of roses are cut obliquely by a couple of centimeters. Cool water is poured into the vase, into which a full soup spoon of ammonia is added. Try it! After such water procedures and feeding with salmon, the roses will once again light up with freshness and bright colors, as if they were cut off only an hour ago. What woman will not like the pink bouquet? Careful attention to the floral gift will extend its freshness for a month or even longer. Every woman wants her floral gift - a luxurious bouquet of roses, delighted eyes as long as possible. 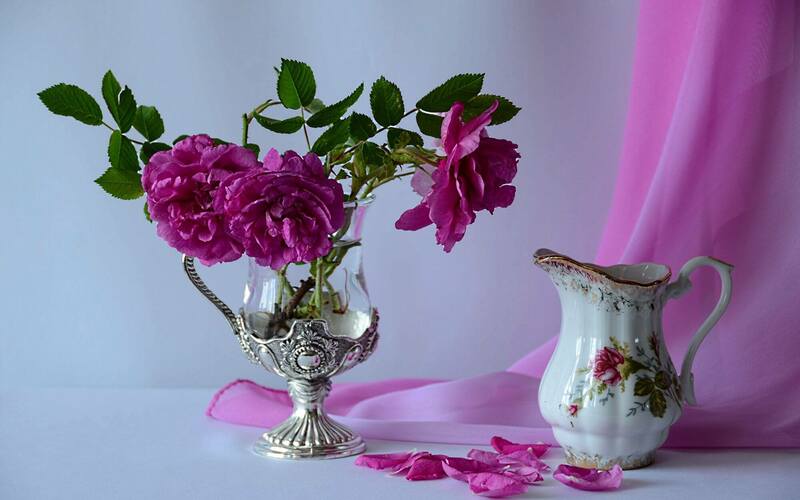 Try adding folk remedies to the water so that the roses stand for a long time, change the water often, soak the flowers, and they will please you at home for quite a while.